Float away on a cloud of comfort with these classic white bamboo sheets that are made from luxuriously soft bamboo-viscose fabric. So incredibly soft and comfortable, you won’t want to sleep on anything but bamboo. Our Classic Bamboo Sheets feature an amazing twill weave finish and are twice as soft as cotton. 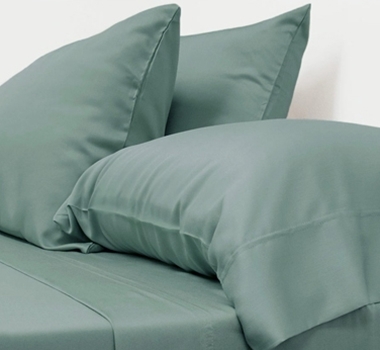 Each set includes 1 flat sheet, 1 fitted sheet, and 2 pillowcases, fitting mattresses up to 18” deep. Wash in cold and tumble dry on low heat. Also, at no risk to you, you’ll get free shipping and a lifetime quality guarantee. Twin - 28" x 74"